Machaba Camp and Little Machaba are situated in the game rich Khwai area. The Khwai Concession is a 35 000 hectare reserve situated in the northeastern Okavango adjacent to the Moremi Game Reserve. Safari experiences are both land and water based. US$ 590 - US$ 1 195 per adult sharing per night. Open all year. 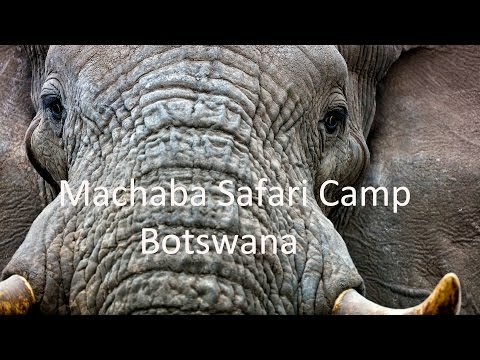 See SEASON HIGHLIGHTS for Botswana. Daily flights from Maun/Kasane to Khwai airstrip (30/60 minutes) with a 30-minute game drive transfer to camp (depending on water levels). 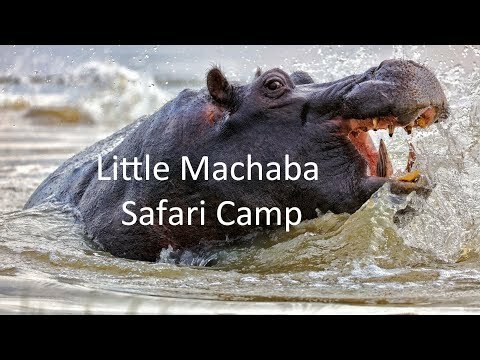 MACHABA CAMP: All ages, children under 6 stay free (private vehicle required) and 50% off for children under 12. LITTLE MACHABA: From 12 years. Morning and evening game drives, walking (children 12+, guide dependant), mokoros (children 12+, water dependent), after dinner night drive. The classic, 1950’s-style Machaba Camp and Little Machaba are situated in the 35 000-hectare Khwai Concession in the northeastern Okavango, adjacent to Moremi Game Reserve. The name Machaba is the local Setswana name for the sycamore fig tree, the tree of life, renowned for their abundant fruit, which feeds a vast array of animals throughout the year, including elephant, baboons, bushbuck, green pigeons and many more. The camp pathways meander between the large riverine trees. Machaba Camp's 10 luxury tents are situated in the beautiful riverine treeline on the Khwai River, overlooking the famous Moremi Game Reserve. From these tented verandas one can watch the daily parade of animals coming down to drink at the river in front of camp. The tents and main area of Little Machaba are all on decks and overlook a large floodplain. Machaba Camp welcomes children of all ages and children under 6 years stay free of charge. Please note that a private vehicle must be booked for families travelling with children under 6 years old. Walking and mokoro is not available to children under 12 years old. Little Machaba welcomes children from 12 years and full adult rates apply. If the camp is booked exclusively, children of all ages are welcome. Please note that walking and mokoro are not available to children under 12 years old. Mokoro! This is a dugout canoe poled by an experienced poler in the shallower waters of the Okavango. It is a great way to see the waterways and is tranquil and quiet. These excursions take place in the mornings or longer day trips can be arranged. Explore the islands around camp and come back rested and rejuvenated. Not available to children under 12. With only 2 luxury tents and 2 family tents, and a maximum of 8 guests, the experience at Little Machaba is intimate and personal. Visit the local community, when it is accessible (depending on water levels). View other hotels & lodges categorised by COMMUNITY.